McDonald's Holiday Pie! | Dinosaur Dracula! The McDonald’s Holiday Pie is BACK. After hearing the news from my buddy Bill, I immediately ventured out to find them. The first McDonald’s was a bust. The second one was a Level 5 bust, because not only did they have zero Holiday Pies, but the guy manning the register acted like I was out of my freakin’ mind to ask. It was my own Golden Girls / black prophylactics moment. But the third McDonald’s came through. I had no reason to order five pies. 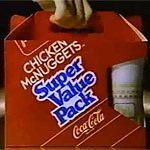 “Five” just came out when I was at the drive-through. I’m not always an anxious person, but I have my triggers. Sadly, they’re all impossibly weird triggers. Ordering food from a drive-through is one of them. Whenever I do, a big pile of mute jelly is suddenly driving my car. I don’t get it. I’ve sold terrible concepts to rooms full of suit-wearing look-downy people, but I can’t order pie from McDonald’s without it turning into a Kathryn Bigelow film. Look at them! 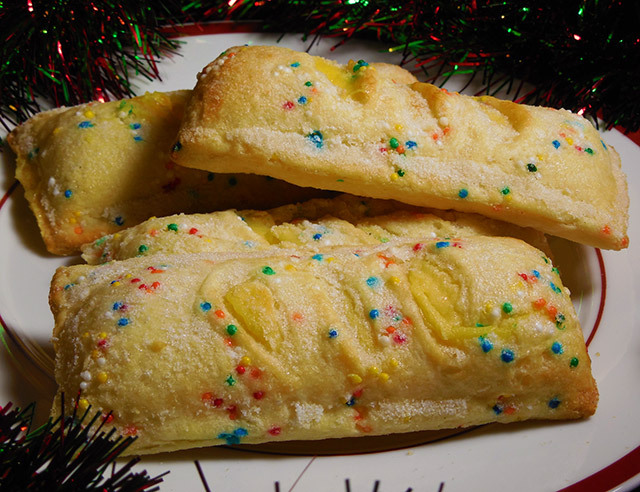 The sprinkles act as edible Christmas lights! 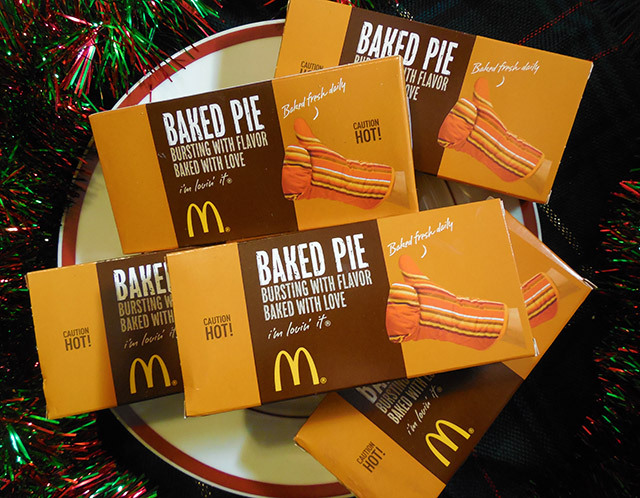 McDonald’s Holiday Pies are pretty legendary. Think of them as McRibs on a smaller scale. I’d never tried one before, but I’ve been hearing about them for years. 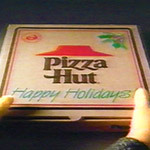 Apparently, Holiday Pies were discontinued at one point, or at least released in fewer states. Google searches will reveal a LOT of hysteria surrounding these pies. Some of you may be thinking, “I see those every year. This is not a big deal.” Check your privilege! 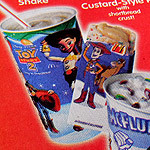 Not everyone has had such easy and annual access to the McDonald’s Holiday Pie. For all I know, I’m one of the lucky few. You could put forty thousand pretzels in front of me and they’d be gone in an hour, but pie has never been my speed. I’m only making an exception for Holiday Pies because I so desperately want to be a part of their fan club. I want to talk to other Holiday Pie enthusiasts and have them think that I’m really cool. Anyway, here’s my review: They taste okay! The crust was my favorite part, because I could rip chunks of it off and pretend that I was eating cookies instead of pie. 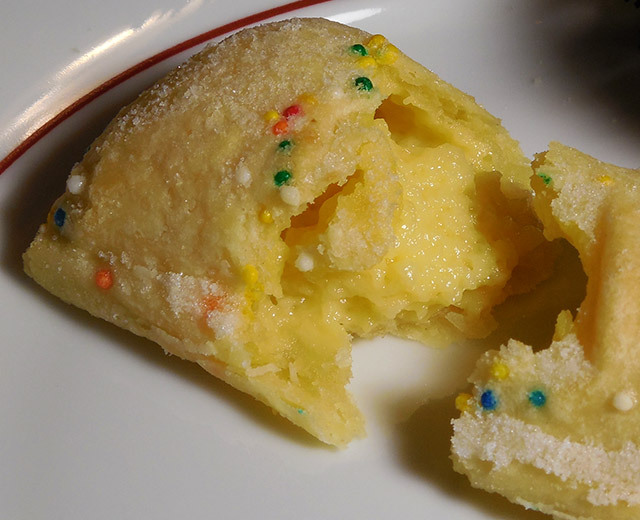 The custard filling doesn’t taste bad, but I have to admit that from color to consistency, it was a bit like eating someone’s hot sneeze. I recommend them. I can’t remember if each pie was a little under a dollar or a little over a dollar, but either way, they’re cheap. And they’re so damn Christmassy. Circussy and Christmassy. – Visit Christmas Island during the big time crab season. – Procure a MISB Inhumanoids “Tendril” figure. – Eat a McDonald’s Holiday Pie. – Script and film direct-to-DVD F13 sequel, set in 1984 and respectful of the surrounding canon. – Find out why my eyes always get so red after I shower. Goodnight, from Dinosaur Dracula dot com. Want to help me out? If you plan to do some holiday shopping on Amazon this week, please use my affiliate link. If you think I should earn my keep with a great gift idea, fine. Here’s a giant shark pillow. You’re welcome. 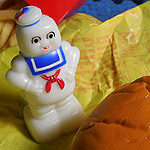 The Real Ghostbusters Happy Meal! 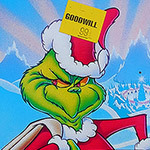 Classic Christmas Commercials, Volume 1!